Having achieved success in the SUV segment with the Creta, Hyundai seems to have cracked the success formula for a hot and growing segment. Having scored multiple updates and additional features over time, the Creta continues to win the hearts of people with its long list of features and sophisticated appearance. With one hit in their hand already, the Korean carmaker is aiming for another one. Hyundai will be soon entering the compact SUV segment, battling against the likes of the Tata Nexon, Maruti Suzuki Brezza, Ford Ecosport and the newly launched Mahindra XUV 300. Codenamed the QXi, Hyundai has just released a teaser of this upcoming vehicle, have a look. The teaser embarks the beginning of the testing of this little SUV, starting from its birthplace, the city of Chennai. 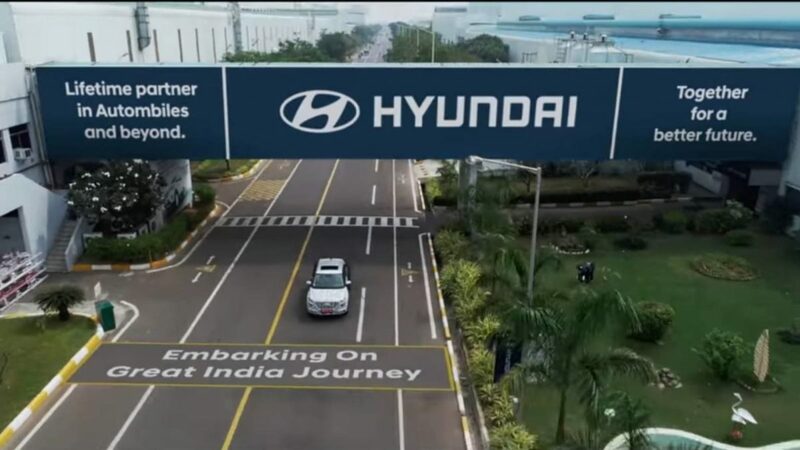 Enduring a temperature of 29 degrees Centigrade and humidity of 72%, the car left the Hyundai plant to continue till Puducherry. Collecting important data on the way, this extensive testing of the car will allow the engineers and the designers to further fine tune the car. After covering the sunny south, the QXi will head towards the Aravali range, for further testing. Rumoured to have a badge saying Styx at the back end of the car, the QXi, even under its camouflage, looks distinctively like a Hyundai. One can spot many design cues inspired by the Creta like the overall shape and the rising window line. In the teaser, we also get a glimpse of the LED DRLs and the sunroof the car will be offered with when launched in the future. Under the bonnet, one can expect to find the same motors as the Elite i20 hatchback, 1.2-litre petrol and a 1.4-litre diesel. These refined engines will be mated to a manual gearbox as standard but automatic will be on offer as well. We shall have to wait to see if the Korean carmaker decides to use the trustworthy torque converter or bring in the AMT to keep costs low. Below are some spy shots of this car caught testing earlier.